The forum is organized by TourismLab. MMC, Trend Life reported. İt should be noted that TourismLab. MMC is also the organizer of Tourism Students Meetup. 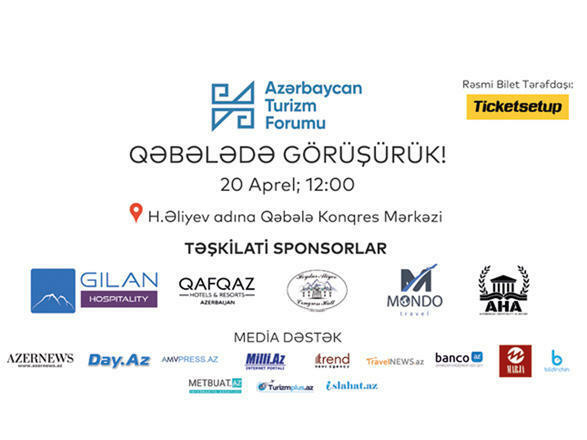 Azerbaijan Tourism Forum was first held in 2016. Since then, a number of issues such as country's tourism potential, future perspectives, implementation of modern technological innovations in order to improve the country's tourism sector, legislation and related matters have been discussed at the forum with the participation of local and foreign speakers. The tourism forum is the only of its kind in Azerbaijan that brings together all experts and businessmen who are engaged in tourism. One of the main objectives of the forum is to hold meeting among the tourism experts of the region with the local and foreign experts.